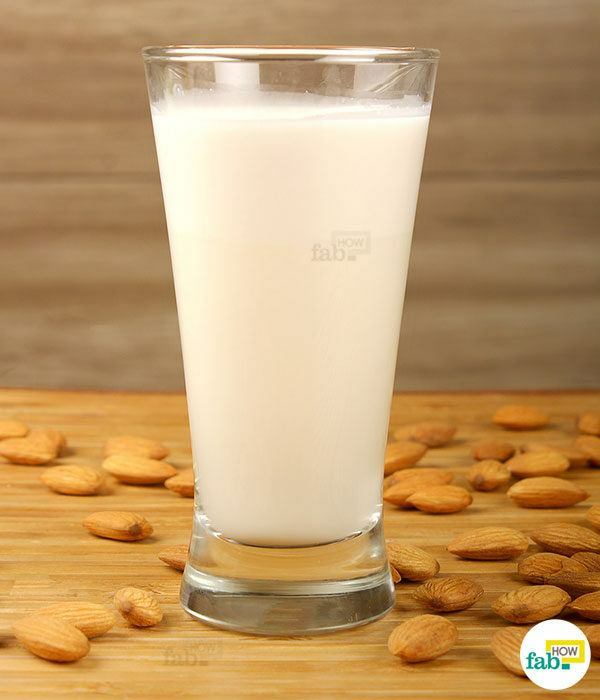 Almond milk is rapidly growing in popularity. Backed with an impressive nutritional profile, almond milk is one of the most sought-after non-dairy milks. Chances are that you already have been introduced to its goodness. If not, this homemade version should get you hooked right away. Almonds are nutritional powerhouses in themselves. Almond milk just gives you that goodness in the form of a drink. The milk is considered good for bone health and supports healthy weight loss. It lowers bad cholesterol in the blood as well as aids digestion. It also helps keep your skin glowing. It is a great alternative to dairy milk for lactose-intolerant people or those following a vegan lifestyle. While the packaged variety is great for a convenient product to be used in recipes, homemade almond milk has its own advantage. Like many packaged foods, commercial almond milk comes laden with additives and preservatives intended to prolong its shelf life. If your goal is to keep yourself and your family away from additives and preservatives and eat more healthy and organic foods, homemade almond milk is your go-to option. Furthermore, making almond milk at home allows you to tinker with the variables like thickness, sweetness and flavoring. Put 1 cup of almonds in a bowl. 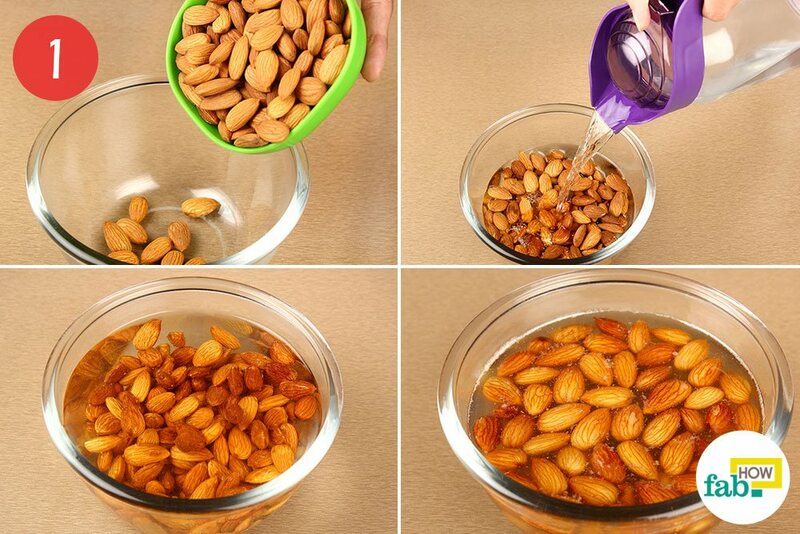 Pour enough filtered water into the bowl to submerge the almonds. Let the almonds soak in the water overnight or a minimum of 12 hours. Remember, the longer you soak the almonds, the creamier the resulting almond milk will be. The almonds will swell in size by almost 50 percent after soaking overnight. 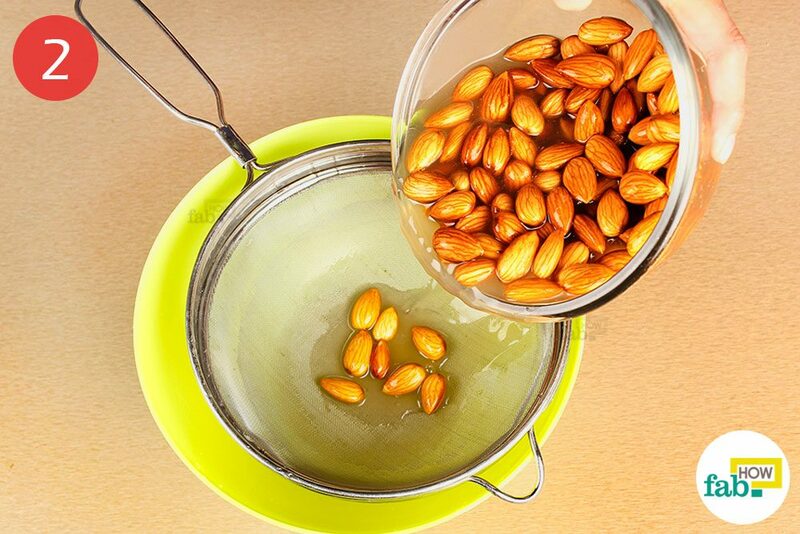 After the almonds are done soaking, strain them and discard the water. Rinse your soaked almonds with fresh water and peel off their skins. Soaking makes the skin of the almond soft as well as weakens the bond between the nut and its skin. 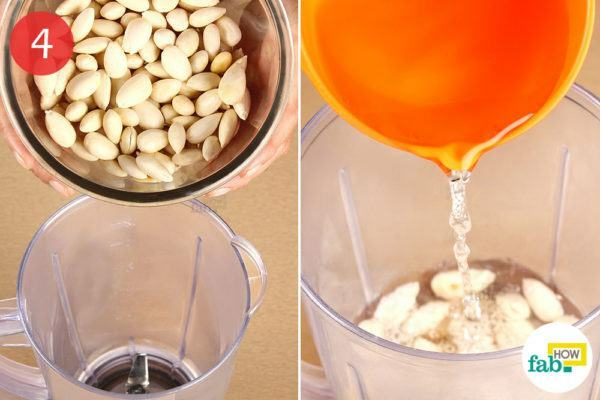 This makes peeling the soaked almonds a lot easier. Put the soaked and peeled almonds into a blender, along with 3 cups of filtered water. Blend on high and keep pulsing until the contents run smooth. Arrange cheesecloth over a bowl and pour the almond blend through it. Hold the edges of the cheesecloth up to make a bundle and squeeze out all the liquid. The white liquid collected in the bowl is pure almond milk. The leftover almond pulp in the cheesecloth may be discarded or added to brownies, oatmeal, smoothies, shakes or any confectionary batter. Pour the creamy and delicious almond milk into a glass and enjoy it fresh. You may also sweeten the milk with honey or other natural sweeteners. You may opt to refrigerate it in a glass jar or container for later use. Shake stored almond milk well before use, as the milk solids tend to settle at the bottom of the jar. 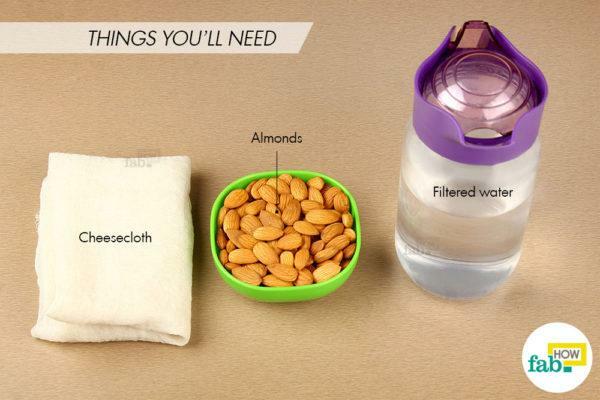 The almonds can easily be soaked for up to 48 hours. Always use filtered or drinking water to soak the almonds, as the water is absorbed into the nuts. 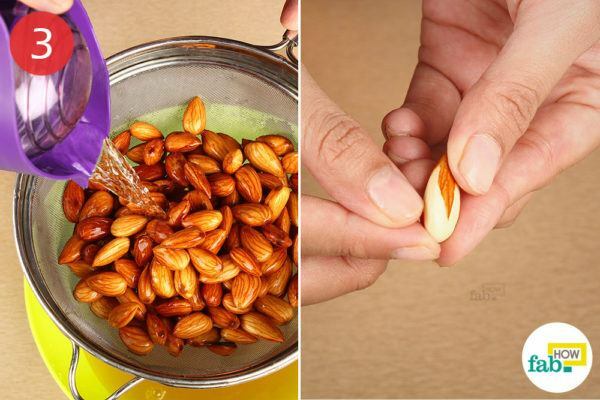 If you’re soaking almonds for more than 12 hours, you’ll need to change the soaking water every 12 hours to keep the almonds from spoiling. Rinse the almonds well with fresh water every time you change the soaking water. You can also add 1 or 2 dates while blending the soaked almonds to sweeten the milk. If you require thinner milk, increase the amount of water used in the blending. 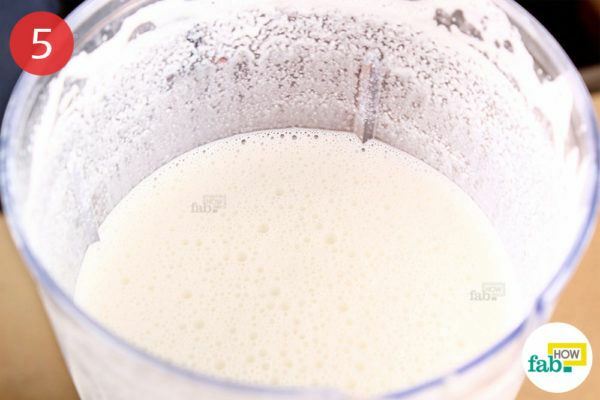 For thicker milk, you may cut back on the water you add to the blender. This almond milk easily keeps for up to 3 days when refrigerated. 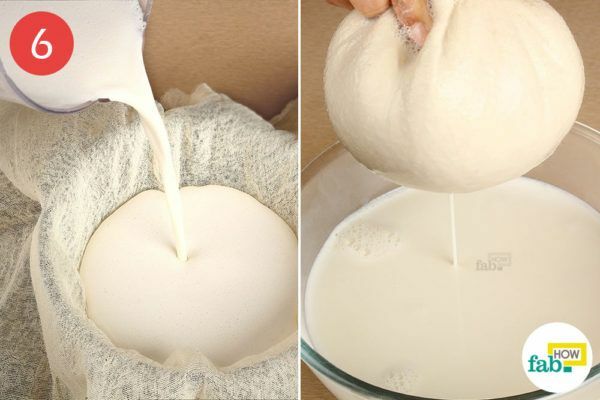 Although the shelf life of the milk can be extended up to 1 week if you pasteurize it, the whole point of making almond milk at home is to enjoy it fresh. You can also dry the leftover almond meal in the oven to make it into almond flour to use in any recipe of your choice. Just spread the almond meal in a thin layer over a baking sheet and pop it into the oven set at the lowest power for a slow bake until it dries out. Run the hardened almond meal in a blender to make the almond flour. Those without any dairy issues may substitute dairy milk for the filtered water when blending the soaked almonds. This will bring the taste of the resulting milk to a whole new level. Thank you for your comments. 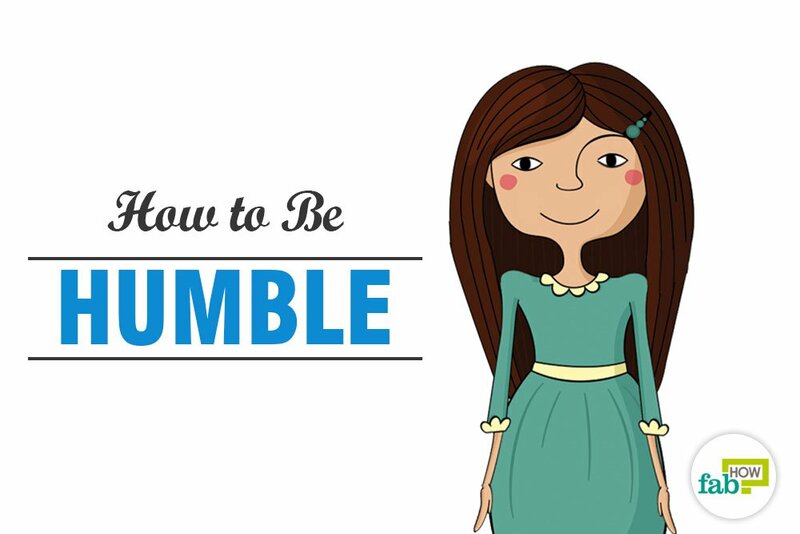 Do try it and let us know how it turned out for you.